Download The Free White Paper and learn this simple, affordable solution to increase your list and boost sales. Email marketing is very important to a marketing strategy, because it’s direct, trackable, and has much higher response rates than direct mail and telemarketing. It costs less too. A quick, easy, and affordable way to increase your email list is to add email addresses to your customer database. 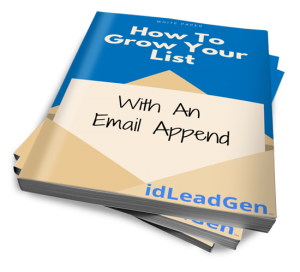 Learn how to grow your list with an email append in this ebook.